Sun., June 24, 2018, 9:55 a.m.
Chris Bec went 3 for 5 with two doubles and three RBIs and the visiting Vancouver Canadians (3-6) topped the Spokane Indians (2-7) 7-4 on Saturday. 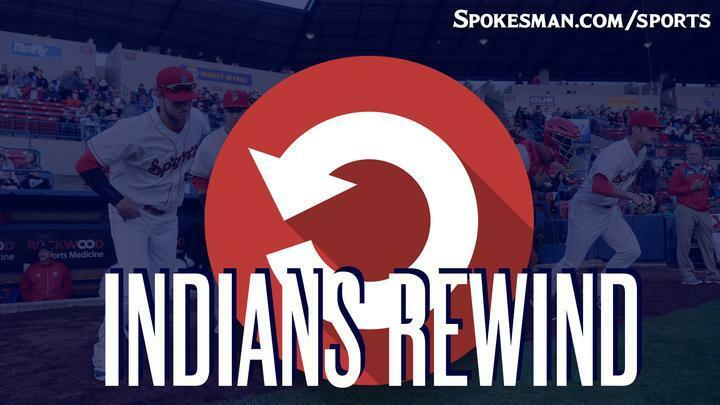 The Indians committed two errors and had several other miscues, including three hit batters and two wild pitches. The big play: Bec’s three-run double in the fifth made it 7-2 and was demoralizing as only one of the runners were on base via base hit. Tiedemann gave up a walk, single and walk to end his night after 78 pitches and 49 strikes. Chandler Sanborn then walked his first batter to force in a run before Bec clubbed his double that one-hopped the wall in left center. “Good baseball is commanding the baseball,” manager Kenny Holmberg said. “Throwing it over the plate. Hitting our spots. The Good: Obie Ricumstrict and Cristian Inoa hit solo home runs. It was Ricumstrict’s first hit of the season and first professional home run. The Bad: Chandler Sanburn didn’t have a great night. Walked in a run and allowed two runs on one hit and three walks with four strikeouts over two innings. The Ugly: Physical errors are going to occur. However, on two occasions shortstop Inoa and third baseman Diosbel Arias collided on routine balls – one pop-up and one ground ball. The ground ball miscue went as a base hit when Inoa couldn’t throw through Arias but easily could have gone for the third error of the night. It’s simply a matter of communication between the fielders that should be routine but isn’t right now. The Takeaway: Holmberg is right. The Indians aren’t playing great on this four-game losing streak and what’s worse is they seem to be repeating mistakes on defense. Everybody’s young in this league but at least in Saturday’s game, it was routine plays that they botched. Next Game: Indians vs. Vancouver on Sunday at 3:30 p.m. RHP Seth Nordlin (0-0, 1.50 ERA, 0.500 WHIP) starts for the Indians. Published: June 24, 2018, 9:55 a.m.